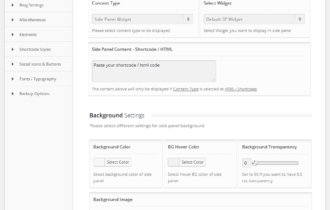 Latest Update: Side Panel can be activated from Theme Options and/or from any page. It can be fully customized from every page from colors to custom Sidebars & Widgets. Below are settings that can be customised from Theme Options. Below are settings that can be customised from Page Options. Below is a quick list of available features for Side Panel. For full list please click on the below images. If you process less than $10,000 per month in payments, then there is a $35 fee. A representative will be in touch with you shortly. An email has been sent to you with pricing and sign-up information. Double-check that the email doesn’t go to your spam folder. Talk soon! Rate Match We’ll match your current rates. If you currently process payments with a different provider, we'll be happy to match your rates. Simply provide us with two months of billing statements. Not all fees are listed in the comparison. Deposit times are listed in business days.